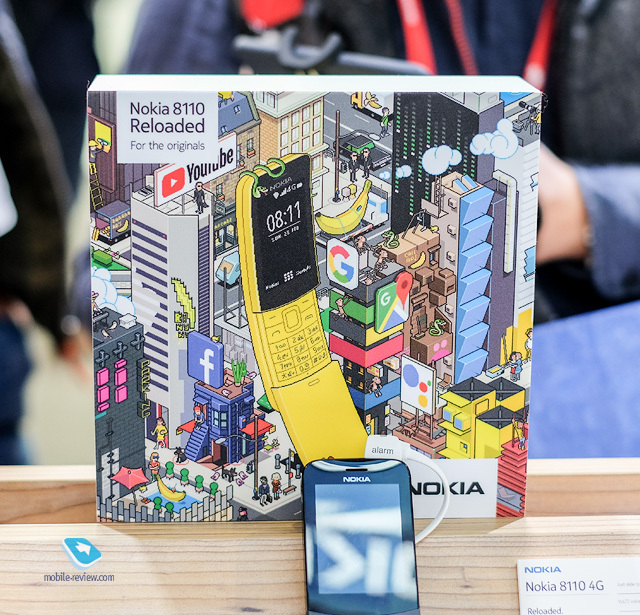 Website mobile-review.com posted, among their hands on photos of the Nokia 8110 4G, the reatil box of the second device in HMD’s “originals” series. The photos were shared via Baidu Nokibar forum in China. On the front we have doodle drawings (or whatever this artstyle is called), that cleverly reveal the features of the phone. For example the snake above the earpiece, the YouTube billboard, or billboards of Facebook, Google Maps and so on. I was trying to find any sign of a teaser for Whatsapp or Viber, but nothing on the box. The details like banana trucks (and bananas in general) are really cleverly made. 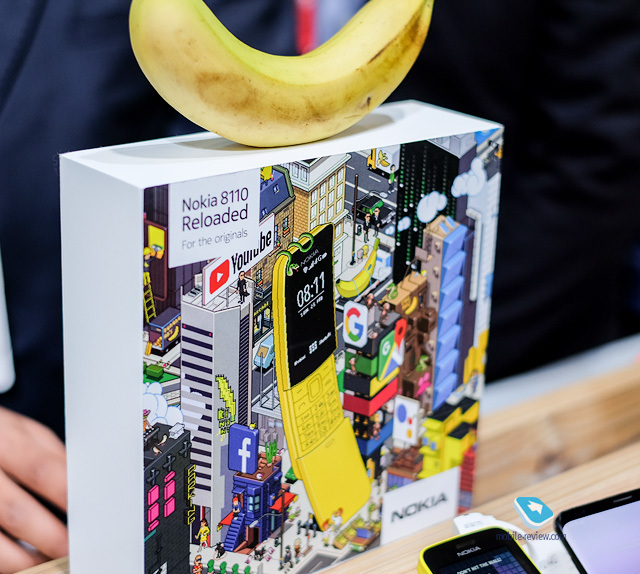 Is there a chance for 3G Nokia 3310 (2017)?